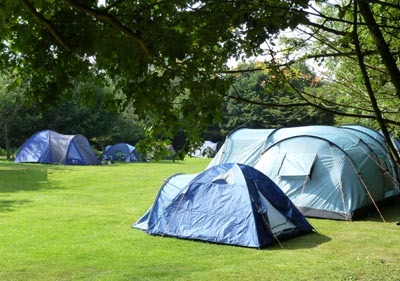 Milton Bryan is a traditional Scout Campsite, situated in the heart of rural Bedfordshire, housing seven acres of open camping fields, together with a large pond and campfire circle making it ideal for all kinds of scouting activities. The village of Milton Bryan is nestled between the historic villages of Woburn and Toddington. The site itself has a detailed history dating back to it's involvement in World War II. There are a total of seven separate camping fields. Each seperated by stunning trees and bushes. With endless miles of public footpaths, many of which run around the Woburn Estate this location is simply idylic. The area is easy to get to, being situated just 3 miles away from the M1 junction's 12 and 13. The A5 is also just 2 miles away. Aside from the activities on site the following tourist attractions are within easy reach! Woburn Safari Park 2 Miles - You can hear animals from your tent on a calm night!